Fans of musical theatre will always have their favourites, whether it is because of the story, or the songs, or perhaps a leading actor. For many they will follow this show, seeking out new tours and reliving the known and expected enjoyment. Imagine though, if you had never seen a musical before, never heard the songs, didn’t know the story and in fact, no one had, how would you feel about spending an evening ‘breaking new ground’? well, fear not, because Showstoppers, the brilliantly funny and super talented improv musical show gives you such an opportunity every time they take to the stage. Couched in the premise that the ‘Producer’ needs a brand new smash hit musical in just one evening, the Director begins by engaging with the audience to find out their own preferences and ideas. Encouraged to call out show titles, the audience offered favourite musicals on which the night’s show would be based – for this evening the consensus was Little Shop of Horrors, Rocky Horror Show, Wicked, Avenue Q and Joseph . We then were asked for a venue / setting and, after an audience vote (by applause) we landed on the Winter Olympics In South Korea. Finally, as all great shows do, we needed a catchy title and again, after many suggestions, Piste Off was the winner. 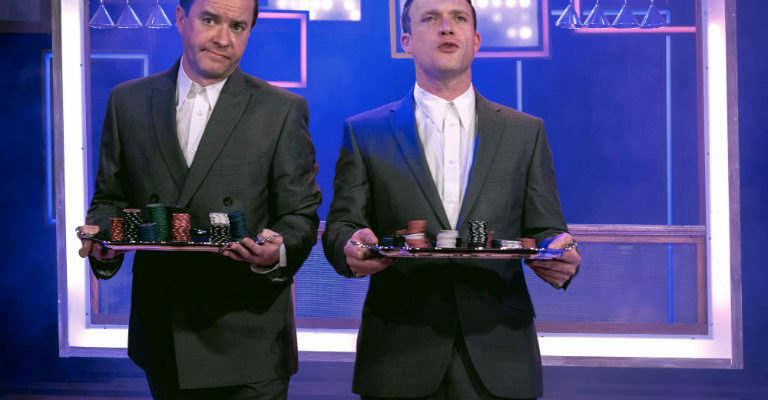 So, onto the show – the cast began to create a story around the Olympic athletes, their passions, loves, fears and history, all interspersed by some mind blowing improvised show tunes and rib-breakingly funny jokes. Every now & then the director would freeze the show and interject with a shift in style, a plot twist or a revelation but on the whole he was just as much in awe of the spontaneity of the creations as the audience were. We had a unique take on the Time Warp, some Wicked style downhill luge and a wonderfully naughty set of makeshift puppets doing their own snow based Avenue Q. At the interval, the audience were asked to proffer their ideas for how the 2nd act would commence, all via Twitter, with many suggestions actually making it into the show (including some rather bizarre love triangles and an appearance by a WADA official). The 2nd act continued with the cast maintaining their foray into satire, pastiche, homage and just plain old micky taking – the rap battle a la Hamilton was the highlight for most people. Ending the show with some Scooby Doo-esque flashback/jump forwards time travelling, you were left in no doubt that you have just witnessed brilliance. The only sadness felt was that, as everything was improvised on the day, no one would ever get to see Piste Off again. 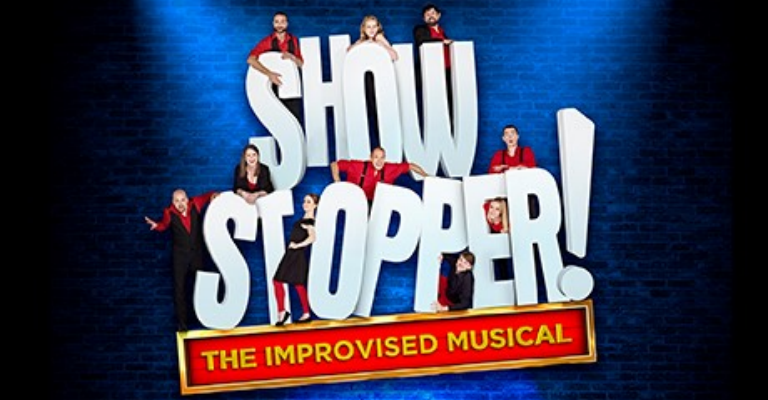 If you ever get the chance to see one of The Showstoppers performances, grab it with both hands, brush up on your knowledge of musical theatre and strap your ribs up very tightly.